But I have to admit I’ve had my doubts about Michael Jackson returning to the stage to perform 50 shows in London, a run that’s scheduled to begin the first week of July. And even though I once had a t-shirt with an velvety iron-on picture of Thriller’s cover on it, Jackson’s attempt to perform again seemed way too strange a story for me to take him seriously. 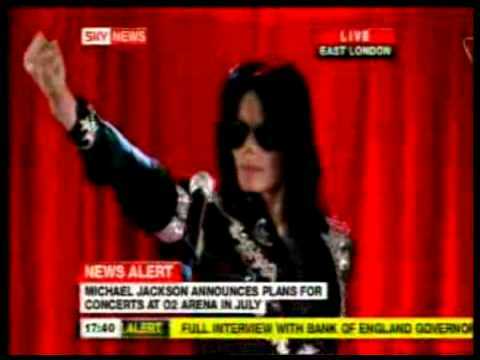 AEG Live president and CEO Randy Phillips has rejected U.K. tabloid reports that Michael Jackson told fans that he only wanted to play 10 London O2 Arena shows rather than the 50 that have been scheduled. Billboard reports “Jackson’s series of London shows have been touted as unprecedented. AEG Live says that, all together, the shows will gather the biggest audience ever to see an artist in one city. The shows begin July 8, Jackson’s first in 12 years. Producer/promoter AEG Live has footed the bill for a $20 million production, and the show layout is coming together. “Originally we tried to keep the show down to 90 minutes, but Michael has so many must-do songs in his repertoire that the shows now will be two-plus hours,” AEG Live CEO Randy Phillips tells Billboard. What are your expectations for Jackson’s London shows? And would you drink lots of Pepsi, grab your crotch and do the moonwalk at the show if he did a This is It! world tour?